Sit-down scooters and mopeds have been a popular form of transportation for decades. It has won the hearts of riders around the globe with its compact size, impressive performance, and modern design. Vespa, the world-renowned Italian scooter producer, has decided to step into the EV (Electric Vehicle) market for the very first time. Two years after it was announced, all the planning and development has finally beared fruit into social and eco-friendly motorbike for all of us to enjoy. Vespa’s all-electric scooter, the Elettrica, comes in 3 colors - bronze silver-yellow, green, and blue. It has a similar performance as a standard 50cc scooter and features a Brushless DC Motor rated for 2.7 horsepower continuous and 5.4 horsepower peak power. The lithium battery is designed to last 100 km (60 mi) and can be recharged in 4 hours. Piaggio, the parent company, claims that the battery should also last for 1,000 charge cycles (or around 10 years for most riders) before dropping to 80% capacity. There hasn’t been any word on the top speed of the Elettrica, but there will be an “Eco Mode” that limits the speed to 30 km/h (19 mph) for battery saving purposes. The electric scooter will also come equipped with artificial intelligence systems that will be aware of people and other vehicles operating in the vicinity, extend the driver’s ability to sense potential perils, and provide real-time mapping and traffic data. Most of all, the Elettrica is carbon-emission free and will certainly be a great addition to our ever-growing eco-friendly environments. 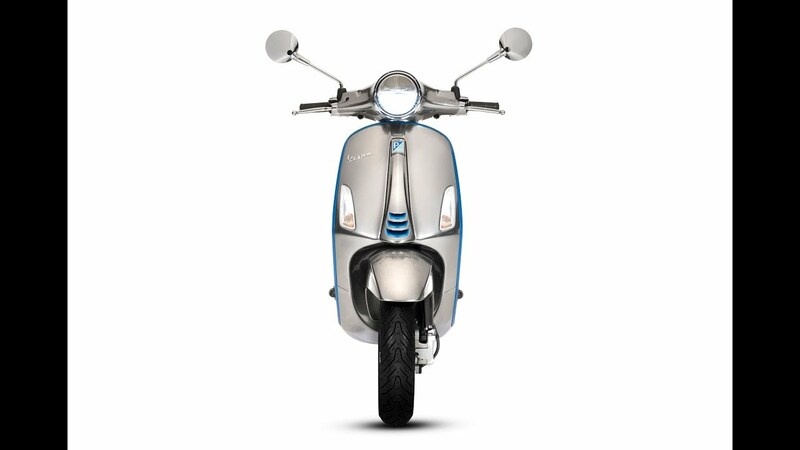 The pricing for the Elettrica is announced at €6,390, or about 240,063 THB, and is now available for pre-order in Europe through Vespa’s official website. As for those of us in the US and Asia will have to wait until early 2019. Some of us may be wondering where charging stations are available and whether it’d be as convenient as filling up a gas-powered car at over 896 gas stations around Bangkok (data from a report in 2015 by the Ministry of Energy). We have to understand that those electric vehicles are still considered a new concept in Thailand, but many of us in both the public and private sectors are working round the clock to push this technology out into the mass market and provide charging stations all around the country.